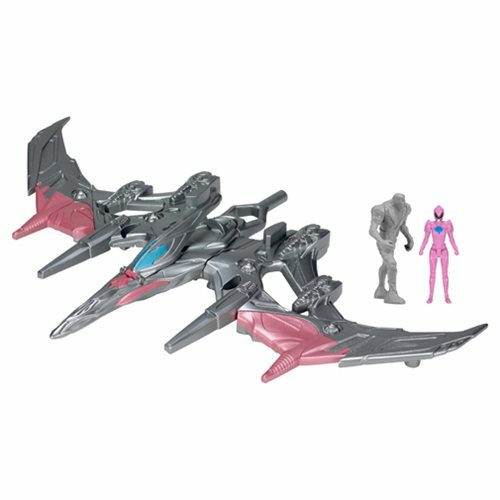 Take down villains with the Power Rangers Movie Pterodactyl Battle Zord! The Pterodactyl Zord includes a web catapult and a bonus Pink Power Ranger Action Figure. Morph and combine with the Power Rangers Movie T-Rex Battle Zord, Power Rangers Movie Triceratops Battle Zord, and the Power Rangers Movie Sabretooth Tiger Battle Zord to create the massive 24-inch tall Megazord (sold separately)! Measures about 12-inches long x 10-inches tall.